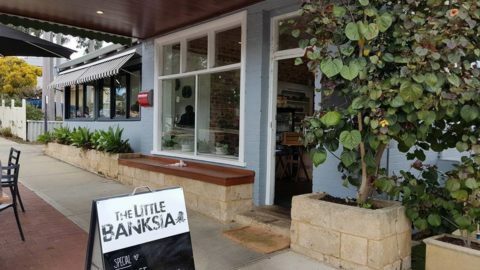 The Little Bay is a brand new café on West Coast Drive (opened Dec 2018). 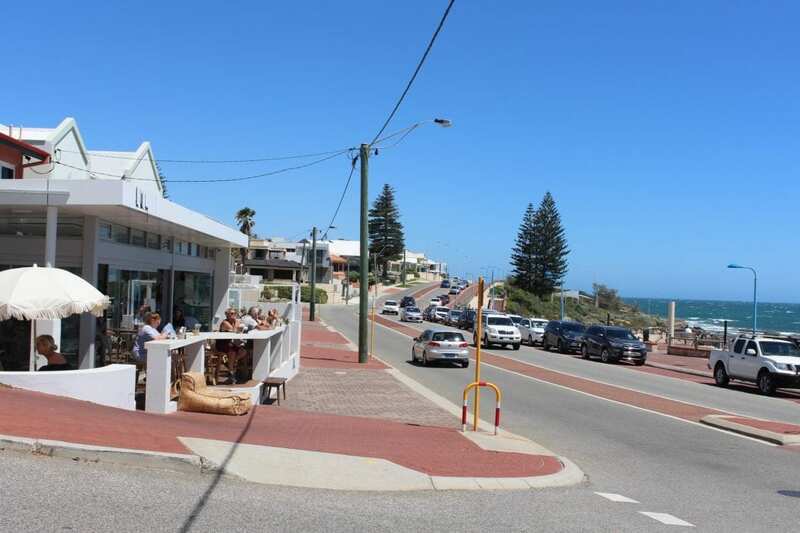 It’s perfect for a bite to eat before heading over the road to the beach or playground. 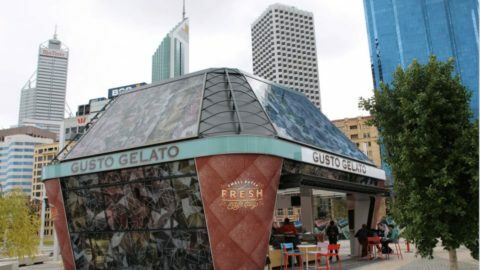 There’s even a handy take away window for drinks and snacks. 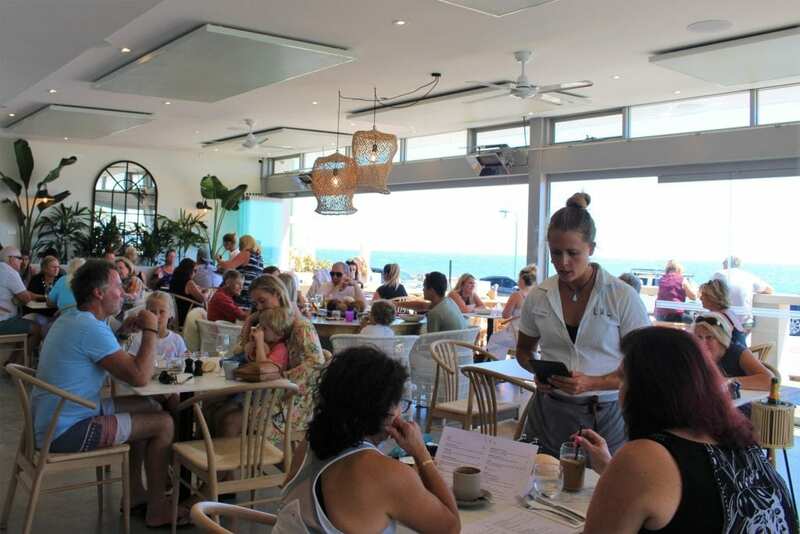 The bustling northern beaches spot has hit the ground running this summer – so expect to have to wait for a table at peak times, especially weekend mornings (bookings are available for tables of 5 or more). We happily waited (well as much as one can!) 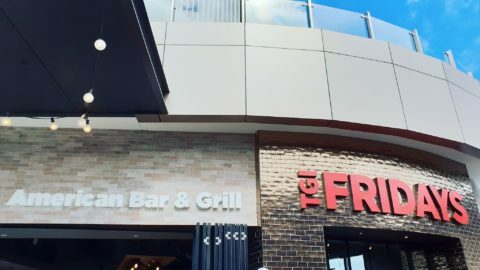 for a table to come free. It was only for about 15 minutes. The café is decorated with indoor plants. The lush foliage is striking against the coastal white wash and the side courtyard, with tables under shady umbrellas is very stylish too. Our friendly waitress takes us to a table by the open window. We’re given lunch menus, where there’s choices like bruschetta, avo and hummus toast, burgers, salads, and pasta dishes on offer. I’m happy to see there’s a few gluten free options too. We’ve tried the coffee a few times now, from their handy take away window, on our coastal walk. 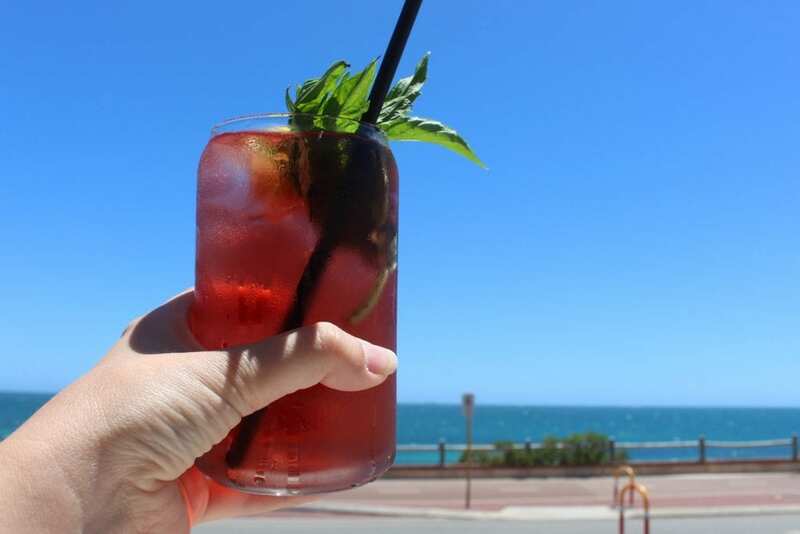 When we dined in for lunch, I tried the berry and rosehip iced tea, a special of the day. 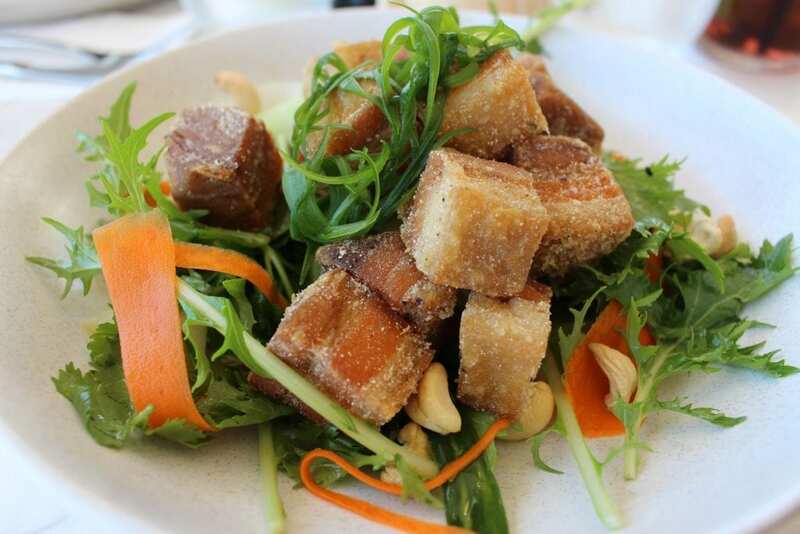 Also from the daily specials, I picked a delicious crispy pork belly Asian style salad. The pork was spot on and served with ribbons of carrot and cucumber, as well as cashew nuts. 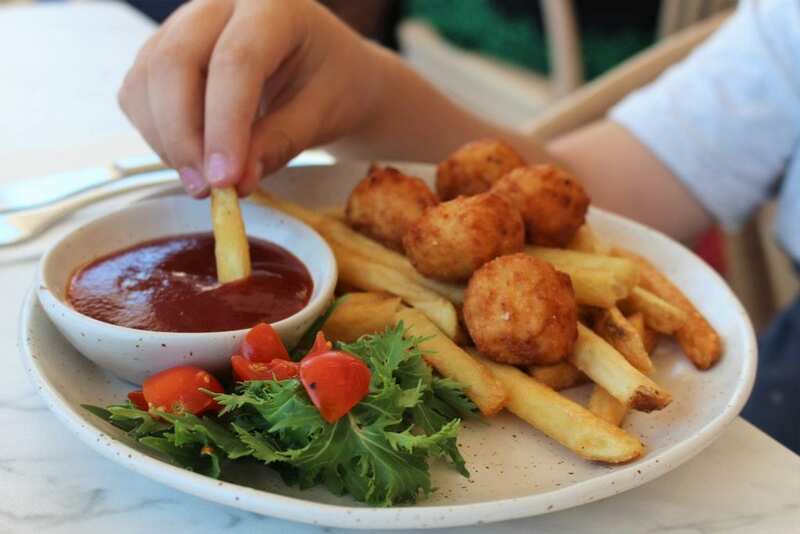 There’s a kids menu, with two lunch options , fish and chips or popcorn chicken and chips. 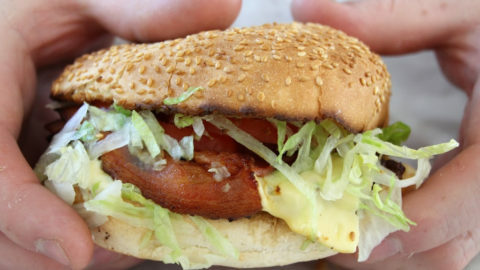 These are both $10, and served with a small side salad and tomato sauce. High chairs are also available. Little Chef enjoyed his popcorn chicken, but was eying up his Nanna’s huge lunch! 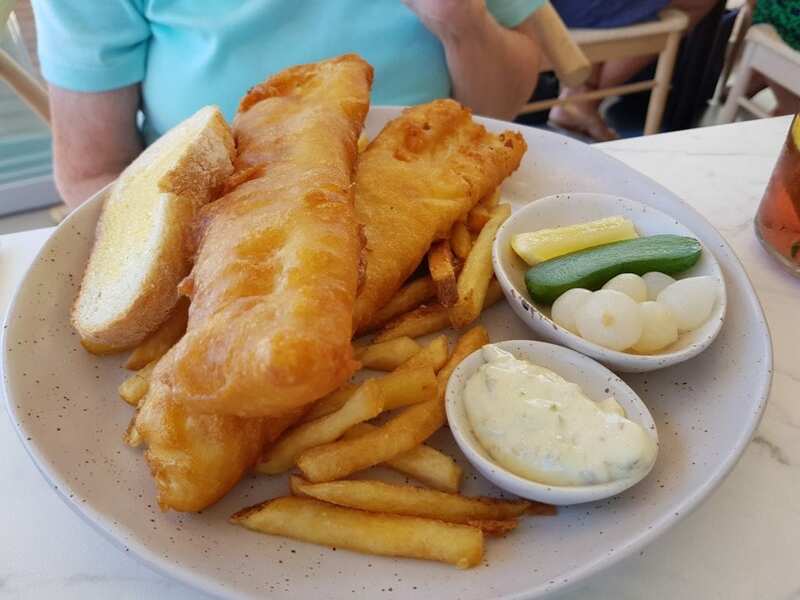 My Mum picked fish and chips ($24). The beer battered hoki was fresh, tasty and very plentiful, served with hand cut chips, pickled onions, a slice of bread (gotta love a chip butty!) and remoulade. 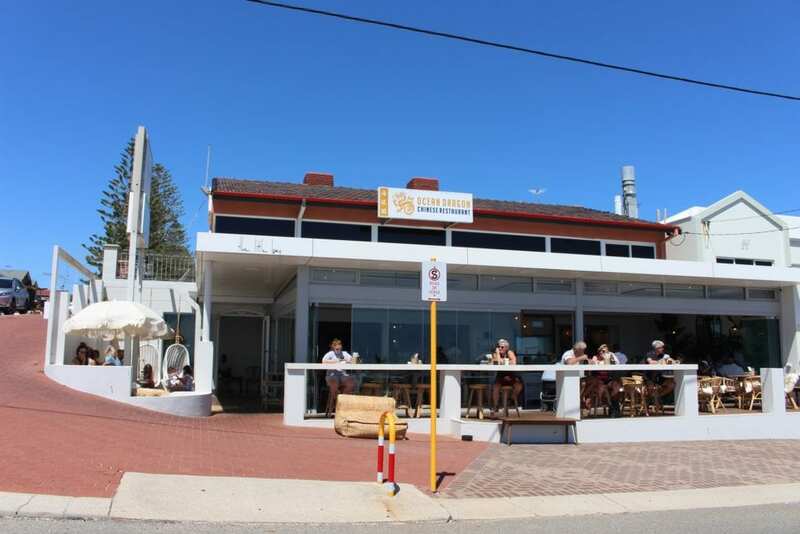 The Little Bay is a very welcome addition to the northern beaches. 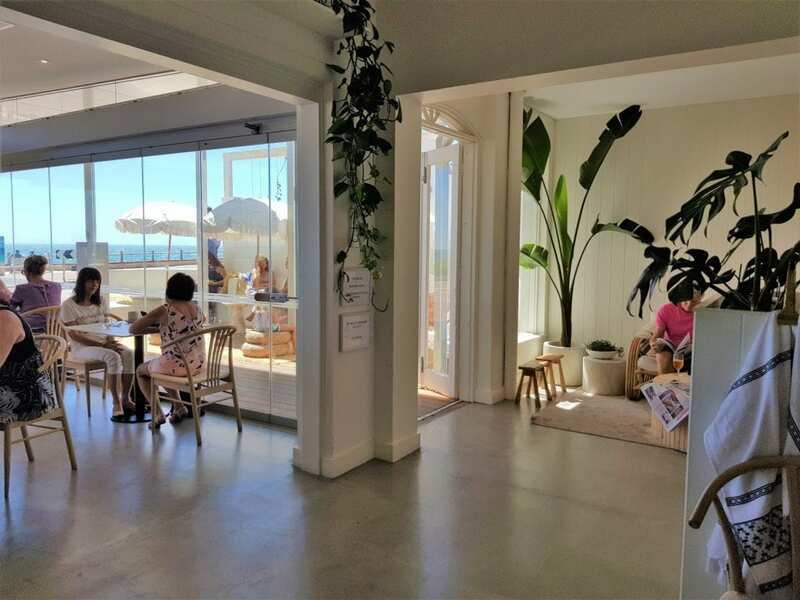 Pair it with a trip to the wonderful Watermans Beach Playground (fenced, gated and shaded) or the sandy Watermans Bay Beach, which are found opposite. 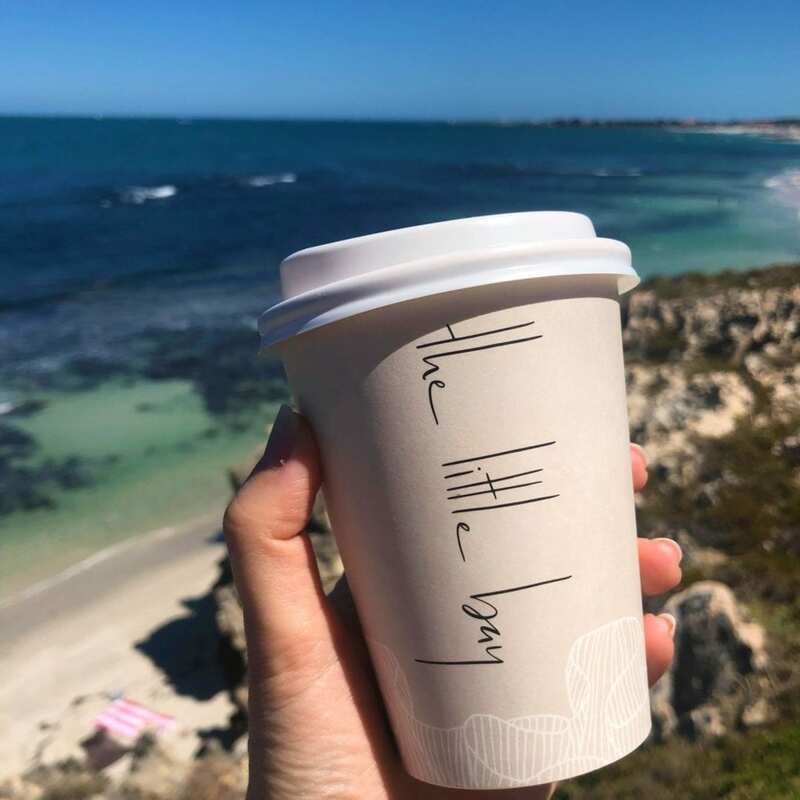 At The Little bay there’s great coffee, delicious and well-priced food, as well as a beachy, friendly vibe. 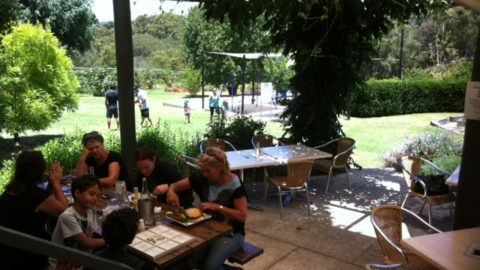 Find more family friendly places to dine in Perth here.